Our custom made adult tricycles will grab your party by storm. We have 3 different colors to chose from or rent all 3 of our adult extreme tricycles. 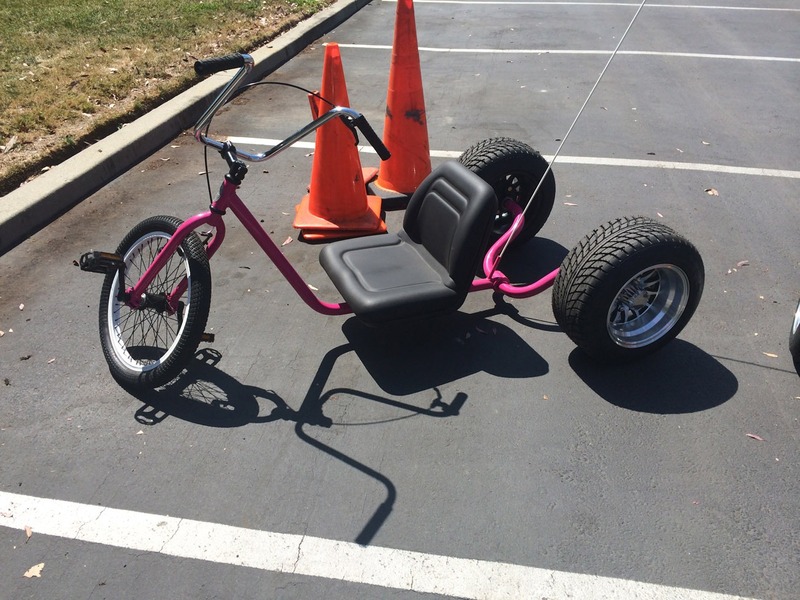 These tricycles are the best bikes on the market and are great to rent for your company or team building game. We are offering an inflatable track or you can just use them to cruise around your office parking lot or cruise your inside office to deliver mail. These adult tricycles will turn head with whatever choice you choose. 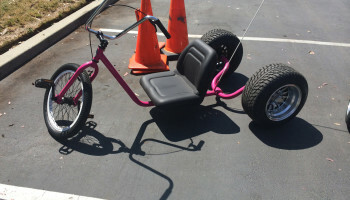 We have had these adult tricycles rentals at many sports halftime shows and in between innings at baseball games at our local San Francisco, San Jose, Santa Clara, Palo Alto, and Oakland Sports teams.